120 Volt – 1500 watt/ 5118BTU heater. Floating on-screen LED display allows you to view temperature settings and functions with ease. The exclusive gWave™ feature of the Multi-Fire XD™ Electric Firebox brings the fireplace to life with the wave of a hand; customize the settings then simply wave it on and off. Glass Ember bed Included. 30min/8hr sleep timer. Eco Setting. Floating display feature. 1Yr Ltd Manufacturer’s Warranty. 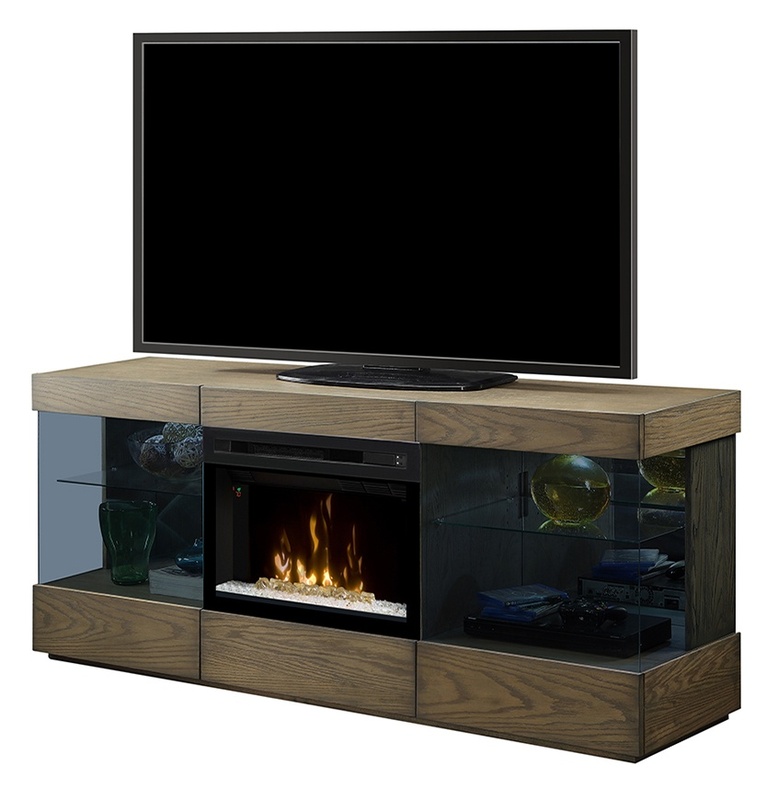 This media console is particularly modern and fits well with a variety of decor choices. The unit has lit display areas and glass doors which serve to show off its clean and versatile styling. Push to open storage eliminates the need for hardware while maintaining a contemporary design. The Axel comes with a dazzling Multi-Fire XD™ firebox, exclusive gWave™ technology, and the Dimplex patented Comfort$aver™ ceramic heating system. For Log Set Insert, call 1-(800) 555-0564 (Model#GDS25LD-1583RS).